Research and analysis shows that 57 percent of B2B buying steps are completed before a buyer even connects with a salesperson. 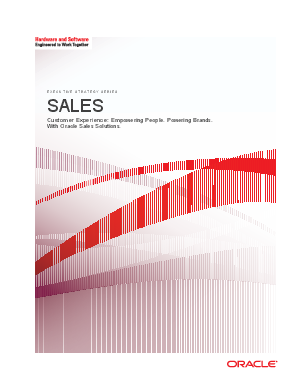 The role that the sales organization plays in B2B buying cycles has become even more critical. Consistency is necessary through every customer touch point and forms the basis for great customer experiences. In this executive strategy brief, we will explore customer experiences throughout the selling process, how sales must adapt in the age of the customer, and ways to improve sales performance that will positively impact the customer experience.